A perfect bikini is the finest attire to express and exhibit the beauty and sensuality of feminine physique. From beaches to beauty pageants, bikini competition has emerged as the most talked-about attraction. Even fitness bikini events are regular in the bodybuilding, fitness, figure, and fashion arena. All these have transformed the design, pattern, color, and style of bikini, leaving behind its exclusivity as swimwear. 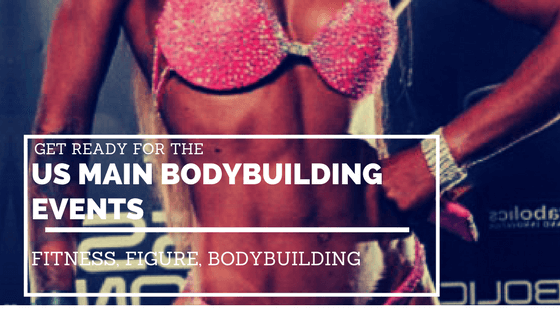 Let’s have a look at the prestigious bodybuilding bikini events for women organized in the United States and how these have contributed to the popularity of bikini competitions. Founded in 1946, the International Federation of Bodybuilding and Fitness (IFBB) is the largest global association in the fitness and bodybuilding segment. Of many competitions held under its aegis, Ms. Olympia and Arnold Classic Women’s Physique International hold forte as America’s premier bodybuilding, fitness, and bikini events for girls. These events are much more than the just showcase of healthy and toned female physique for bodybuilding fans. Audiences thronging the venue are eagerly attentive to the distinct types of IFBB bikini worn by competitors. Tailor- made for bodybuilding competitors, these bikinis have distinct fashion and outline to improve feminine expressions. First introduced in 1980, the open-class Ms. Olympia has seen change of guidelines over the years to feminize event with more focus on healthy appearance, physical symmetry, body presentation, and skin tone. All these underline the need for a distinct type of bikini – known as an IFBB bikini in the fitness circle – for participants in the event so that they can exhibit their femininity in a grand scale. The Arnold Classic has become the platform for astute fitness, physique, and bikini lovers. Figure Olympia and Fitness Olympia are two other IFBB fitness and figure events for women less muscular, yet with aesthetically pleasing physique. Over the years, winners have reinforced their feminine body sculpting through their selection of competition bikinis custom made to present figures perfectly with elegance, grace, and body contours in an attractive, shapely, athletic-looking way. Participants in events by affiliated bodybuilding and fitness organizations, such as Omaha Pro Women’s, Pittsburgh Masters, Norfolk Lenda Murray Pro AM, PBW Tampa Pro Women’s, Atlantic USA Pro, Orlando Pro, and Phoenix World Championships, consider specialized IFBB bikinis an essential element in their physique presentation. View full schedule at npcnewsonline.com. The acronym “NPC” bikini came into existence after the Committee specified guidelines on types of bikini to be worn by participants. Any violation of bikini suit specifications may lead to stripping of points. This style of no-fringe bikini bottom is of a discrete “V” shape and with a considered height quite different from figure suits and theme wear. Junior National Championships, June 14, 2019 – June 15, 2019, Chicago, IL. Universe Championships, July 5, 2019 – July 6, 2019, Teaneck, NJ. Teen Collegiate & Masters National Championships, July 17, 2019 – July 20, 2019, Pittsburgh, PA.
Perfected to ensure an incredible display of physique with perfect balance, contour, and shape, such type of competition bikini exhibits a no-thong plain color without any wording, sparkle, or fluorescents at the prejudging stage. However, at the finals, printed designs with lace, sparkle, or other accessories are allowed. Those participating have the option to go for a variety of NPC bikinis custom- made to reinforce the physical appearance and overall presentation at the events. Apart from IFBB and NPC, there are many US amateur and professional bodybuilding organizations that host fitness and figure competitions for women. Affiliates of the National Amateur Bodybuilders Association organize Ms. Figure America and Ms. Bikini America contests with specific competition bikini guidelines. The National Fitness Sanctioning Body has its own fitness and figure pageant Ms. Fitness USA, introduced in 1985 and sponsored by Wally Boyko Productions. Fitness Universe is another host of premier bodybuilding, bikini, fitness, and figure shows in the United States. It holds Ms. Bikini Universe Pageant, Fitness Universe Pageant, Fitness America Pageant, Figure Universe Pageant, and Muscle Mania. Be it qualified female bodybuilding contents or amateur events for women, fitness bikinis are well adored as the foremost symbols of feminine figure. The variety of specifications for two-piece suits and increasing focus on the womanly side of contestants have only increased the importance of competition bikini in an event. 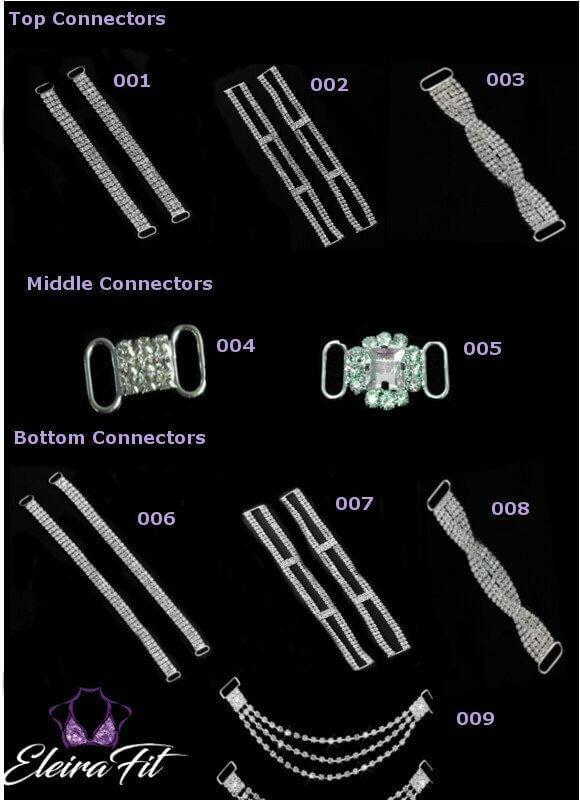 This has its effect in the form of newer designs, color patterns, and superior accessories specifically made for IFBB, NPC, and other fitness and figure shows. Participants now have more options to select the most suitable bikinis for themselves that can assure better exhibition of their toned and enviable physique.